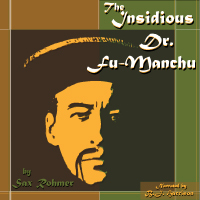 Nayland Smith and Dr. Petrie's underground war against the nefarious genius of Dr. Fu-Manchu continues in this, the second in the Fu-Manchu series by Sax Rohmer. Join in the adventure of kidnappings, poisonous cats, a haunted house, rat torture, mummy attacks and more! This is an mp3 audiobook downloadable product. No discs will be shipped to you. From Julie of Santa Monica, California on 1/2/2015 . 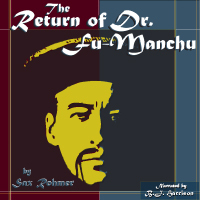 "The Return of Dr. Fu-Manchu" is a total joy to listen to. It is escapism in its finest form. One close escape after another. You know our heroes will always survive, and you know the evil bad guy (Dr. Fu-Manchu) will somehow always elude certain death, but you don't know how. And how can you not like a book that has lines like this? "A luminous hand—a hand in the veins of which fire seemed to run so that the texture of the skin and the shape of the bones within were perceptible—in short a hand . . .
From Shirley Williams of Searcy, Arkansas on 12/17/2014 . Dr. Fu-Manchu is suddenly back. People are being killed and Western civilization itself is threatened. Will Nayland Smith and Dr. Petrie be equal to the task? Why does the beautiful Karamaneh claim that she doesn't know them after all they have done for her and her brother? And why is she once again working for Dr. Fu-Manchu after being rescued by Smith and Petrie and escorted to Egypt? I looked forward to doing the dishes and cleaning up the kitchen each night because it meant that I could . . .
From Suza of Talca,, Chile on 9/14/2014 . From David of Bloomington, Minnesota on 9/8/2014 . I originally purchased David Copperfield which had terrific production values and voice characters -- not to mention a pretty good story. Those values have continued in this entertaining mystery. I have thoroughly enjoyed both novels. From Ronnie Greher of Liverpool, New York on 8/28/2014 . I've not finished listening to this one yet, but the first volume was wonderful. 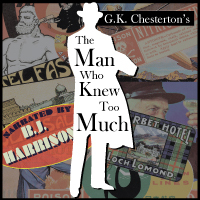 BJ brings his character voices, accents, and overall enthusiasm out for this story of the elusive and dangerous Fu-Manchu. This story will hold your attention no matter what you're doing.